PARIS 2e: PARIS IS A BEACH! 0 Comments Published by Cedric Benetti on Wednesday, August 1, 2007 at 8/01/2007 01:21:00 PM. 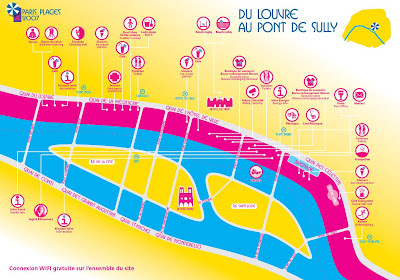 Since 2002, every summer Paris creates its own beachfront at the quais of the Seine, to the greatest delight of parisians and tourists alike. And where else would you wanna go to soak up some sun and have a light drink before leaving off to the quai of Tango.